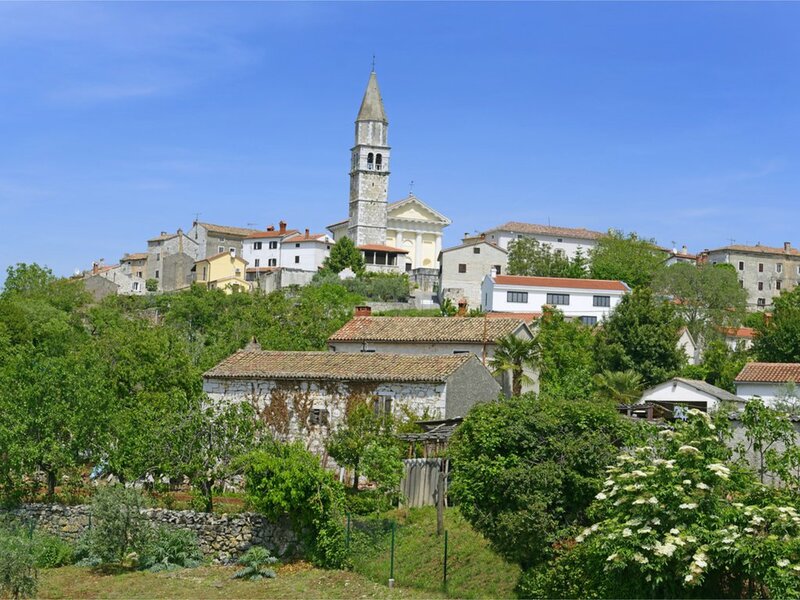 Dorinini Dvori is located in the small village Bokordici in Central Istria, near the picturesque medieval village of Svetvincenat. The access to the villa is via a private gate and opens to a shaded carport and the property itself. Adjacent to the carport is a covered terrace with a billiards table. The lawned garden and the pool area are between two traditional stone cottages; each perfect for two persons. Villa Dorinini Dvori has 2 independent accommodations, rented as a whole: Dorinini (double bedroom, bathroom) and Dvori (double bedroom, bathroom) and they surround the private pool. Dorinini: covered terrace with a shaded seating area, a fully equipped kitchen, dining/living area and a bathroom with shower on the ground floor. Stairs leading to the first floor, where this a double bedroom with A/C. Dvori, on the opposite side of the pool is on one level: fully equipped kitchen/dining/living area, bathroom with shower and a large double bedroom with A/C. 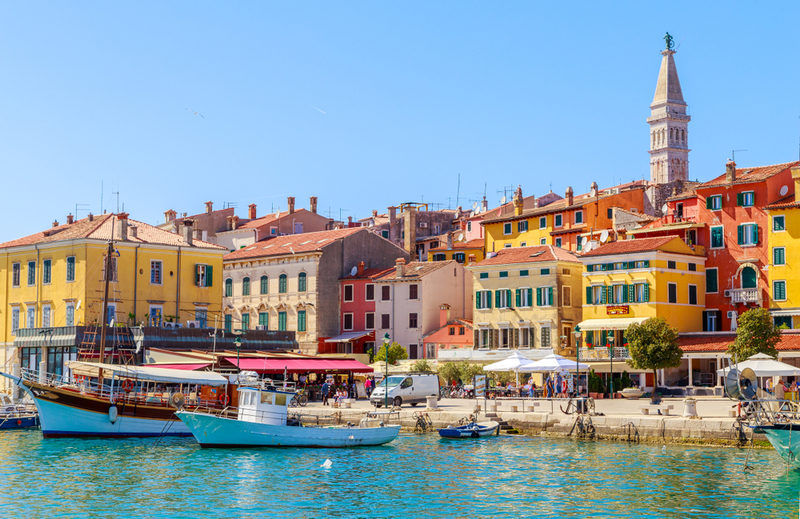 Svetvincenat is a Venetian Village, dating from the 1400s which grew around a 'Benedictine' Abbey and Castle. There are several interesting churches, including the Church of Saint Catherine. There are 5 restaurants which all receive very high Trip Advisor ratings. There are delightful walks around the village. Dorinini Dvori was booked 3 days ago!